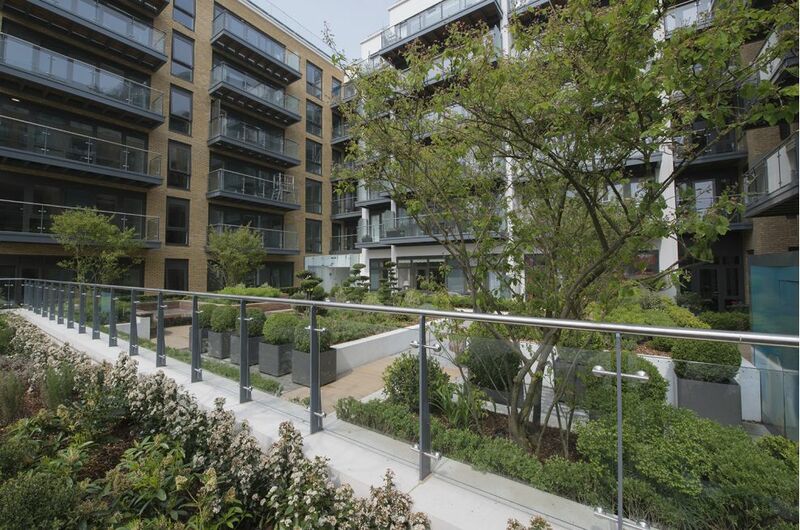 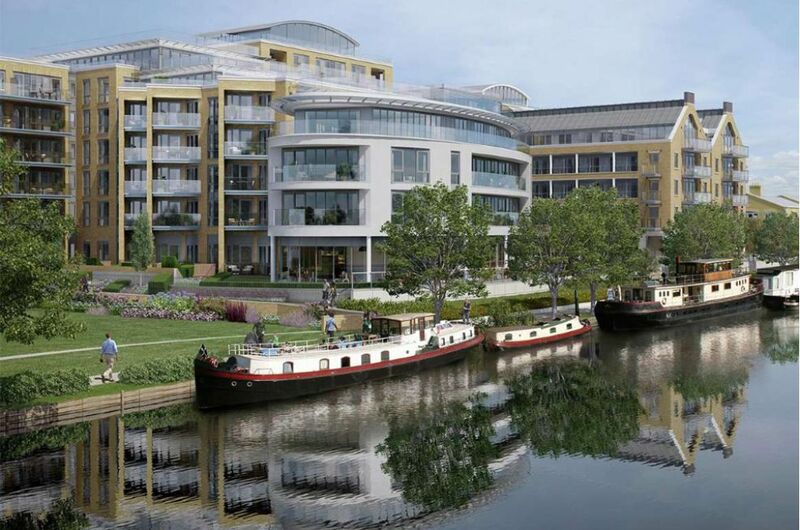 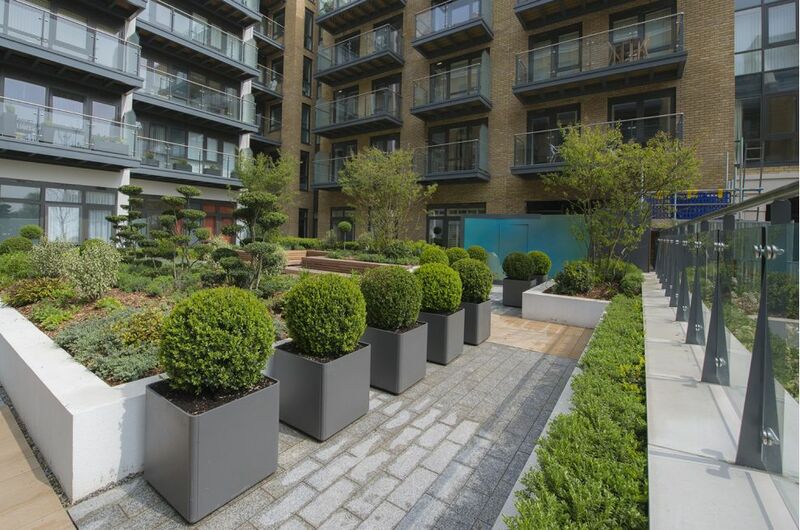 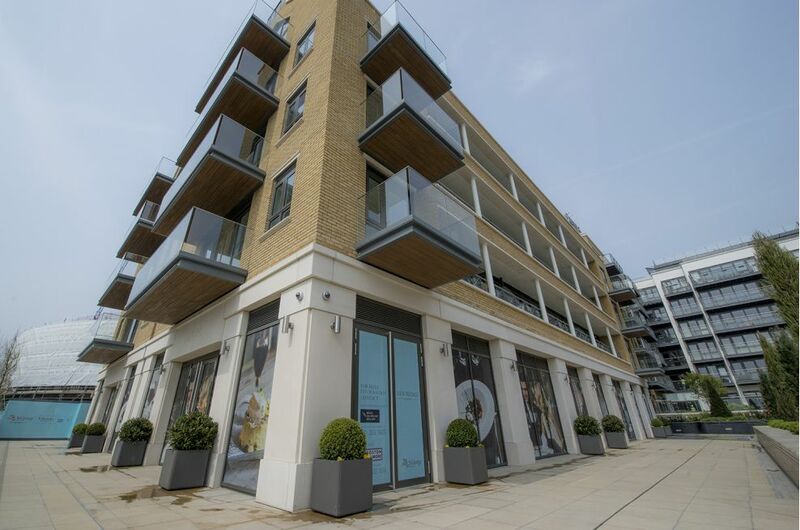 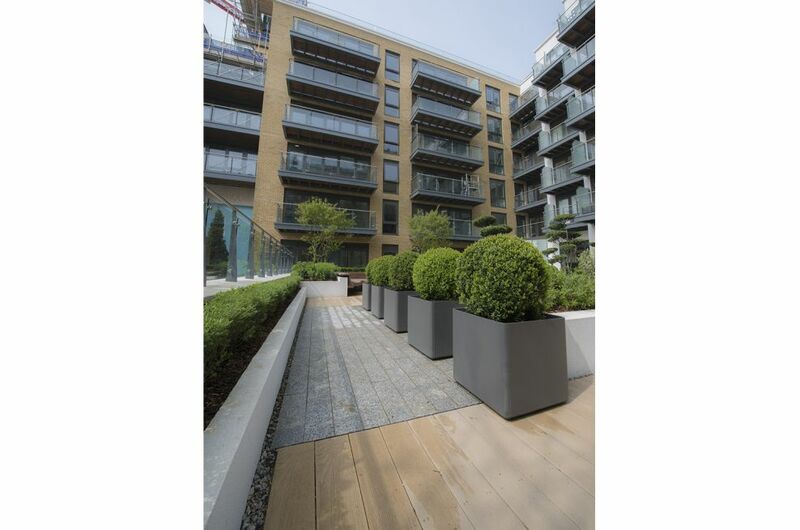 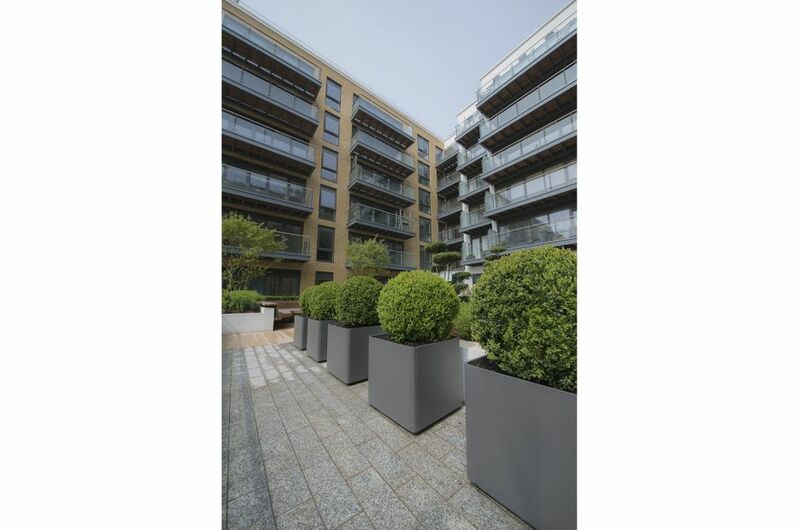 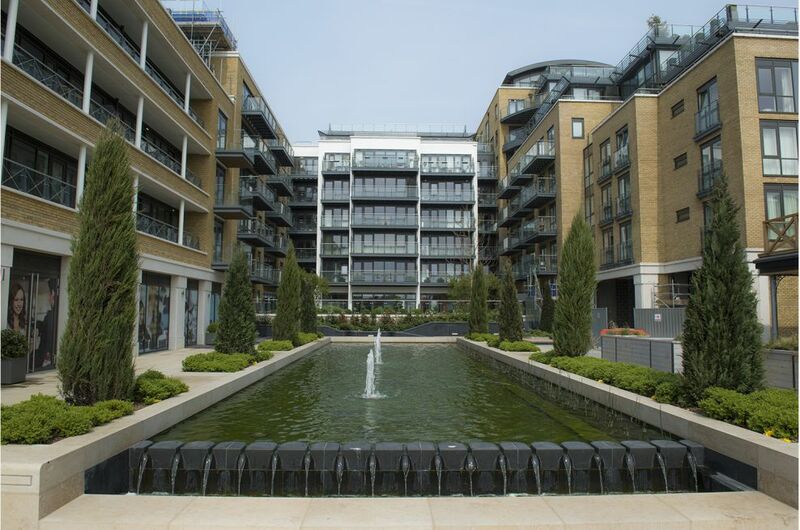 IOTA’s Boulevard planters were selected for Berkeley Homes’ landmark Kew Bridge development. 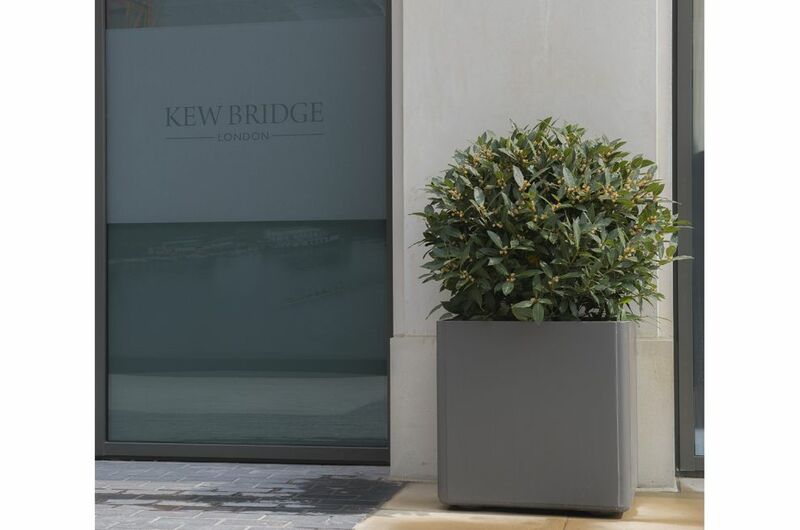 Kew Bridge is the result of architect John Thompson's vision of a vibrant new community on the banks of The Thames; and the development combines outstanding architecture, excellent amenities, landscaped gardens and public piazzas, right on the banks of the river at Kew Bridge. 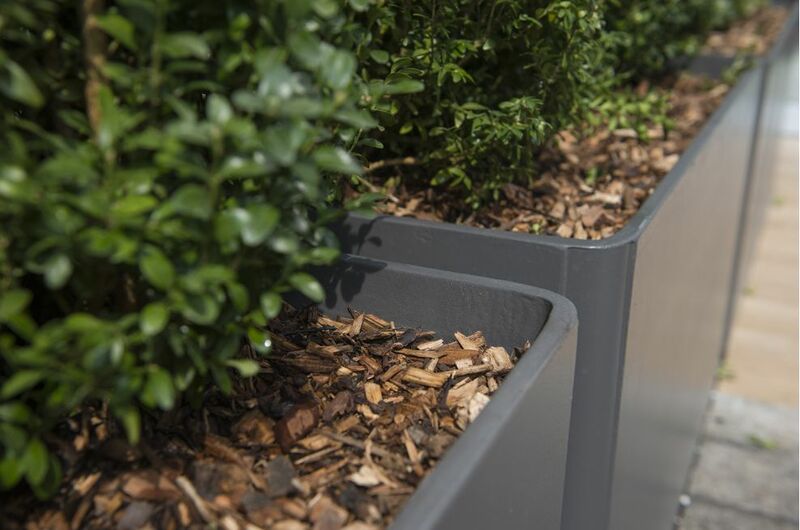 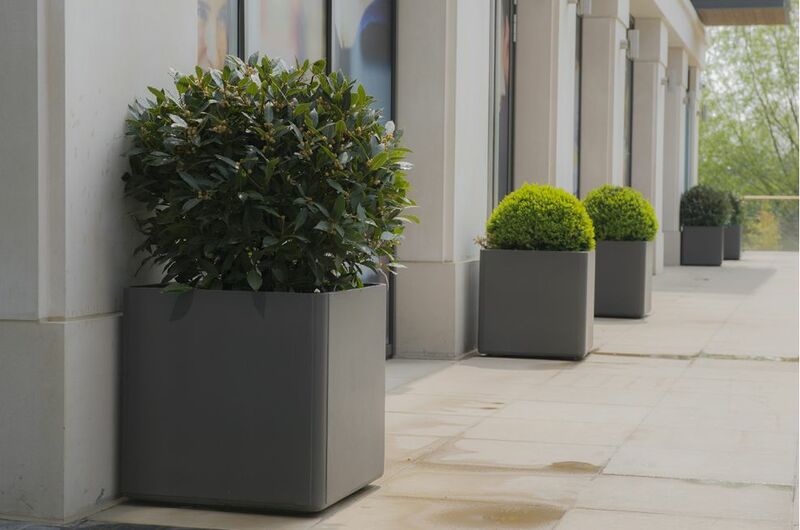 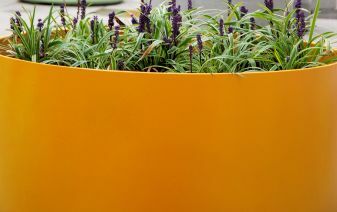 IOTA’s Boulevard planters are manufactured from a proprietary, patent-protected form of Fibre Reinforced Cement [FRC], and they combine elegant design with high performance. 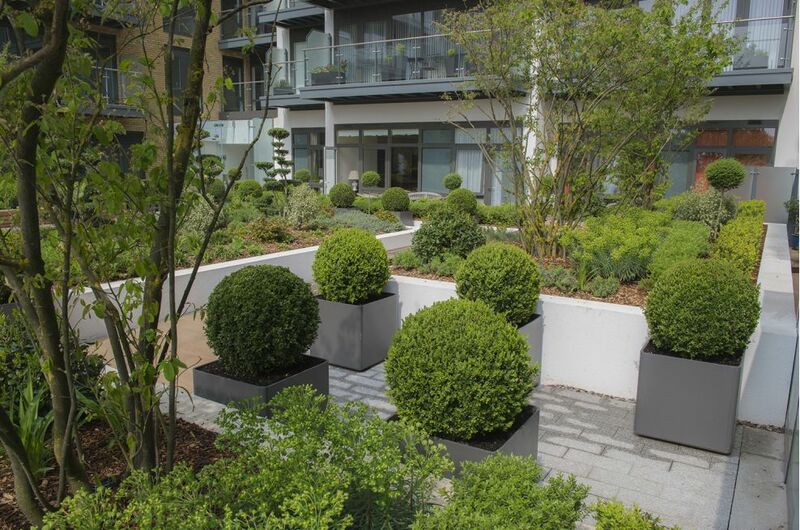 A total of 45 planters were used in this scheme comprising different sizes from the Delta 60 Square and Delta 60 Trough designs. 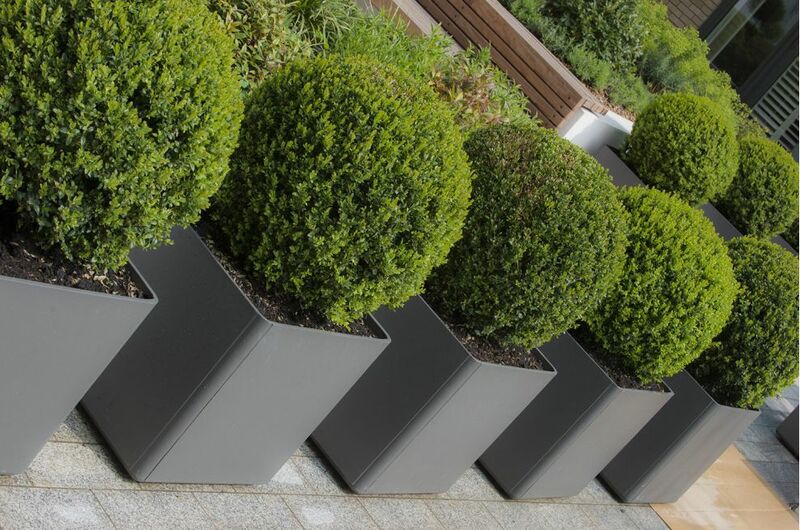 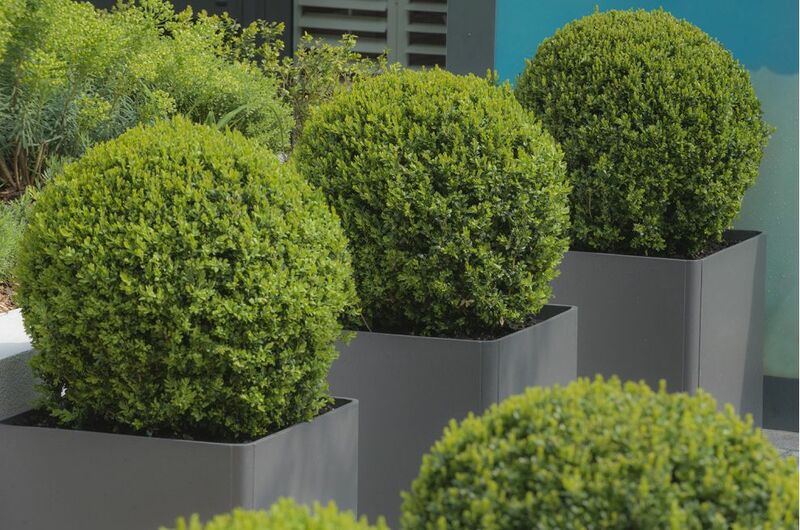 The standard RAL 7016 [Anthracite grey] colour selected serves as a stylish, neutral foil to the architectural green planting of Buxus and Laurus. 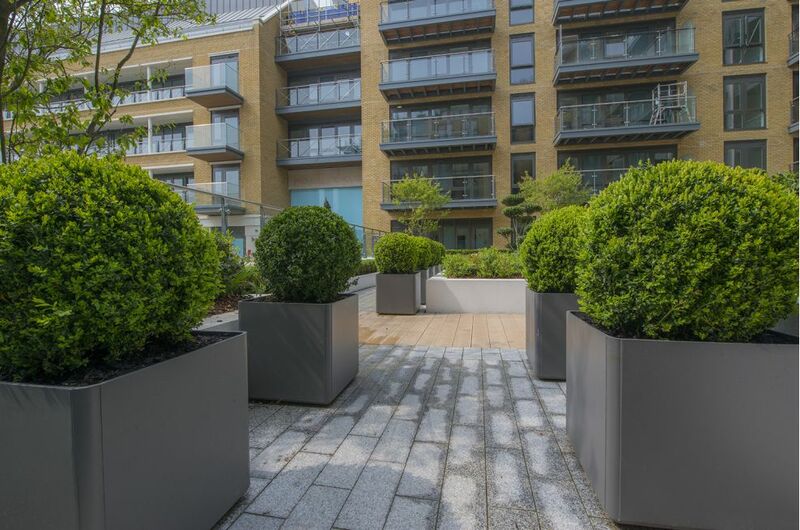 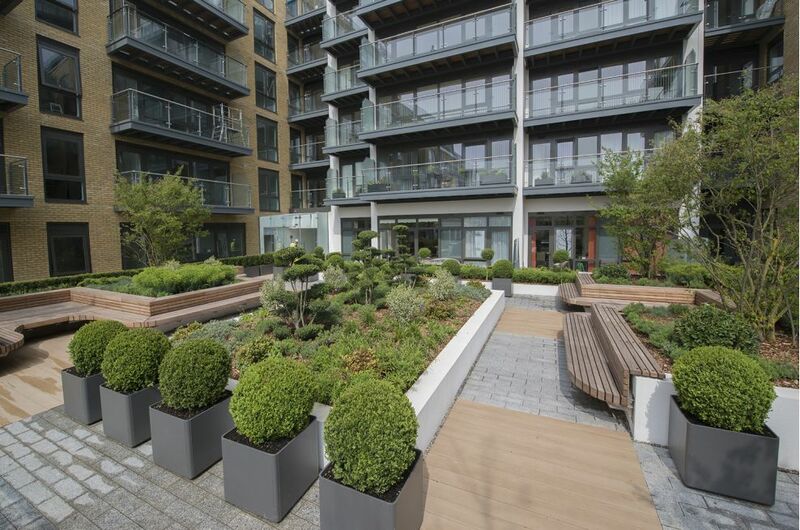 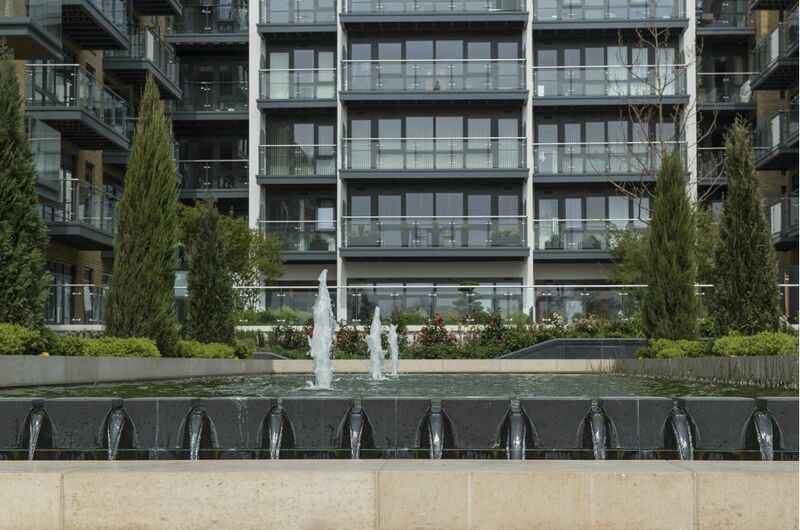 The planters were installed and planted by landscape contractors Kingston Garden Services; and Kew Bridge is the third Berkeley Homes development to feature IOTA’s Boulevard planters, which were also used at the Saffron Square project in Croydon, and at Wimbledon Hill Park.